The Los Angeles Clippers became the fifth team in the Western Conference to clinch a postseason berth with a 122-111 win over the Minnesota Timberwolves on Tuesday night at the Target Center. Forward Danilo Gallinari led the way for the Clippers with 25 points in the clincher. The 45-30 Clippers return to the playoffs after finishing last season 42-40 and missing out. Prior to 2017-18, L.A. made the playoffs in six consecutive seasons, the last four under head coach Doc Rivers. L.A. is one of the hotter squads in the league, having won 11 of the last 12 games. The Clippers have seven regular-season games remaining with the NBA-best Milwaukee Bucks up next on Thursday. Clippers forward Montrezl Harrell reacted to his team's playoff berth following the win in Minnesota. "We've been having a lot of injuries, a lot of changing teams, you know, we had a lot of [adversity] this whole year," Harrell told Fox Sports' Kristina Pink. "But we've been fighting through it. Nobody's been complaining. Everybody's been able to come in, ready to work from the beginning. "Like you seen tonight, when somebody goes down, the next person's ready to step up and compete." 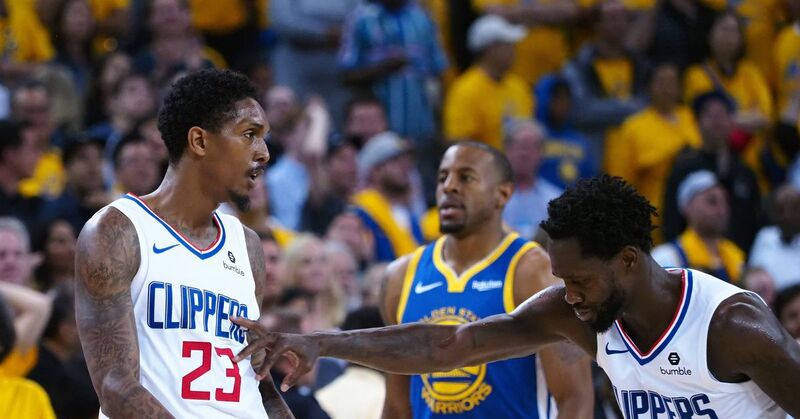 Harrell has been terrific off the bench for the Clippers this season, posting career highs in points (16.6), rebounds (6.7), assists (1.9) and blocks per game (1.4). Along with Lou Williams, L.A. has two front-runners for the 2018-19 Sixth Man of the Year. "If the preseason forecasts were to be believed, Rivers should have been planning a pending offseason vacation by now. Vegas put the Clippers' over/under win total at 35.5 for this season, which had them ahead of only the Mavericks, Suns, and Kings in the Western Conference. "FiveThirtyEight's model was even less confident, predicting 33 wins and just a 16 percent chance of making the playoffs. Those predictions made sense at the time. The Clippers had a roster full of role players with no clear leader or star. It was tough to imagine them competing in the stacked Western Conference. "And yet here they are, not just in the postseason mix, but playing their best basketball as the regular season concludes—and doing so after trading their best player, Tobias Harris, to the Sixers at the deadline." Since Harris' trade, the Clippers have gone 15-5. Down the stretch, L.A. is just two games back from the No. 3 or No. 4 seed behind the Portland Trail Blazers or Houston Rockets, respectively. The Blazers suffered a massive blow to their postseason aspirations on Monday night when center Jusuf Nurkic suffered compound fractures in his leg, nixing the rest of his season. Should the Clippers remain healthy, this team could continue to surprise many once the playoffs arrive.